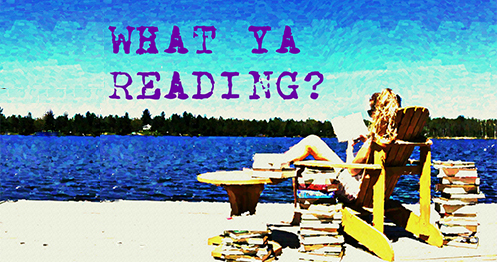 Pearl Lover: review and excerpt | What YA Reading? 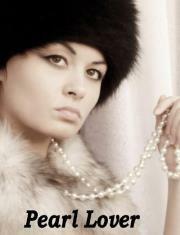 Pearl Lover by Kea Noli Available on Amazon Self-Published A beautiful girl. A wicked mother. A twisted love triangle. In this thrilling romance, Nixie Veidt is forced to choose between money and love. She must stay faithful to the bureaucrat she married to save her inheritance, but her heart belongs to a Russian dancer. When the dancer is hired by her company, she puts it all on the line. Will she lose everything? Or does love really conquer all? I just want to point out that this is the first blog tour in which I’ve ever participated (milestone! ), and I want to thank Miss Parker from TBG tours for including me. These tours may seem like a lot of work, but no one ever tells you how fun they are. Which is very, very fun. The real star of this show, however, is Pearl Lover. Featuring a dash of classical ballet dancers, a hint of a sting operation, and a medley of point of views, this novel will have you marveling at all that one string of pearls can represent. -Nixie wants to be in full control of her inheritance. -To do so, she must be in control of her guardian. -If she marries someone over the age of 25, her husband will become this guardian. Otherwise, her guardian will remain her wicked mother. -When I say ‘wicked’, I mean wicked. Nixie’s mother refuses to support her dream, which is to give new life to the Ballet Russes, a dead ballet company. Needless to say, this premise is gripping. There comes a point in everyone’s when life when bad guys and inner conflict just become so… what’s the word? Predictable. Give me a clash with a villainous mother—maybe I’m just happy that this YA protagonist’s mother is actually alive—and a war with Europe’s failing economy any day of the week. Especially when that war involves so many details on the ways of the world of dance. I don’t think that I’ve ever learned so many ballet terms and intricacies in my life than in the last 48 hours, and I used to dance it. (Yeah, that was before I figured out that I’m incredibly uncoordinated.) Now that I’ve finished Pearl Lover, I just feel so cultured. Nevertheless, every novel has issues, and my number one with this novel is Nixie’s unashamed subserviency. She blatantly calls herself Kolya’s “Slave” on more than one occasion and declares herself “for the chauvinists”. These degrading comments, perhaps intended to be attractive to some, didn’t sit well with me; I found myself grimacing at them all too often. Miss Noli, I appreciate the gesture, but self-respect is actually a thing now. Moving on, as I mentioned before, this is a really fast read. Although it takes place over the course of years, you’ll finish Pearl Lover in a matter of hours; the pacing is fast and the action is unfaltering. Pearl Lover deserves 3/5 stars. For fans of living, breathing mothers, catty economies, and the complexities of ballet-dancing. Oh, and as a side note: this one is definitely for the elder group of young adults. He saw the same determined look on her face that he had seen in the motel, when she glared at him, after she threw a tantrum. Morten’s eyes seemed like sapphires because his face was pale, drained, anemic. She added, “I can’t handle courts and lawyers. I’m not like you. Analytical. I’m a dancer. I know how to follow steps to music.” There was no intimacy in her voice. It sounded like a business deal, a transaction between traders. “You’ll do it? Sacrifice yourself…?” she asked contemptuously, with greedy eyes upon him. She stared past him with the look of exploitation; a slave driver and trader would have had the same merciless expression. Pingback: Penthouse Man | What YA Reading?